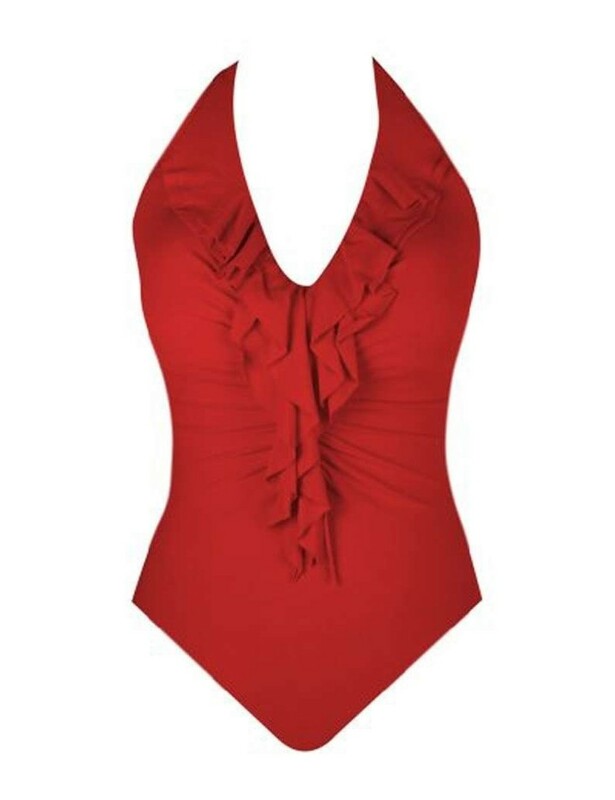 Accentuate your curves in the Miraclesuit Isabella Swimsuit. Classic v-shaped neckline with flattering, feminine centre ruffle and center shirring creates an hourglass figure, hiding all flaws and showcasing nothing but curves. While low scoop back and moderate cut elongate legs. Accentuate your curves in the Miraclesuit Isabella Swimsuit.